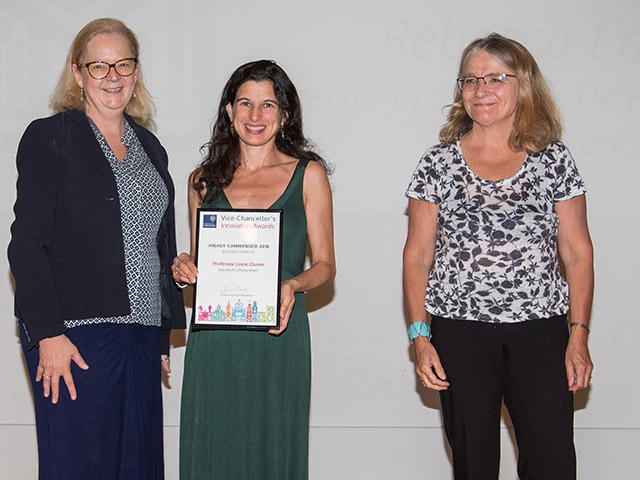 Oxford University has celebrated high-impact research with the first Vice-Chancellor’s Innovation Awards, and we are delighted that there were two successes for DSPI at the awards ceremony last Thursday. The awards recognise and celebrate exceptional research-led innovations and products at all University levels that are having societal impact. The initiative attracted a total of 78 entries, from which four winners were chosen and a further 13 projects highly commended across four categories: team work, building capacity, inspiring leadership and early career success. 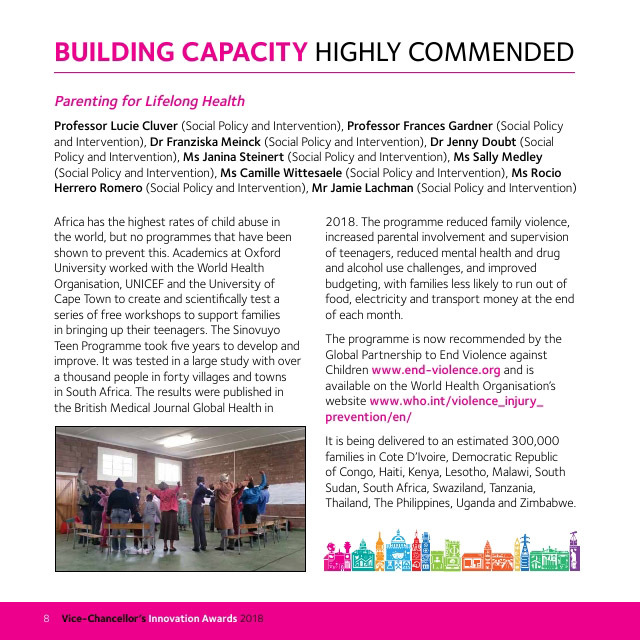 In the Building Capacity category, Parenting for Lifelong Health was highly commended, the latest in an impressive series of accolades for the project. 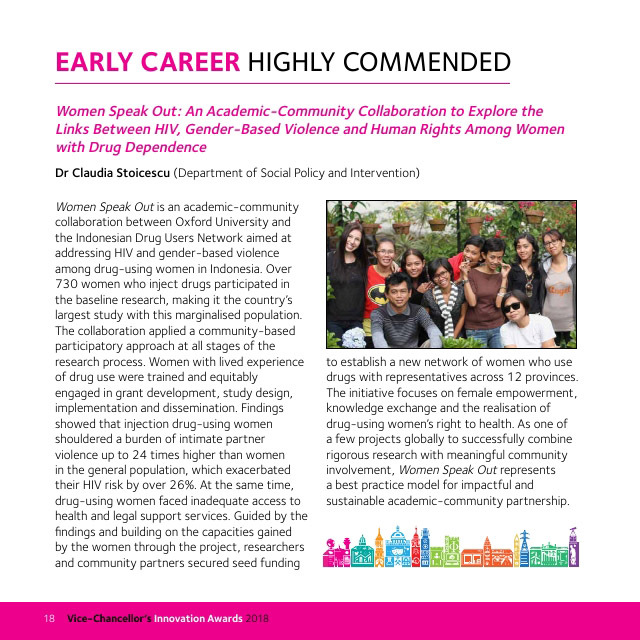 In the Early Career Success category, Claudia Stoicescu was highly commended for her Women Speak Out project - an academic-community collaboration between Oxford University and the Indonesian Drug Users Network aimed at addressing HIV and gender-based violence among drug-using women in Indonesia. 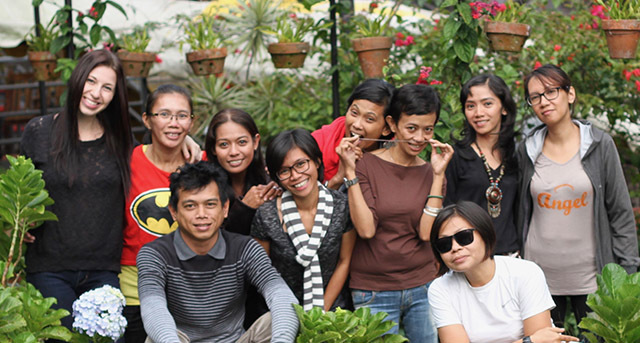 You can find out more about both projects in the image gallery, and more about the other successful projects here.